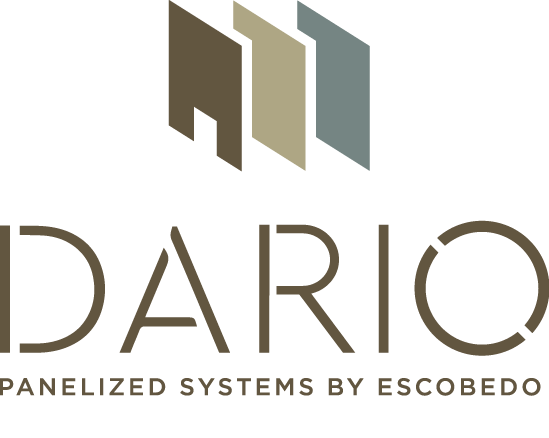 ESCOBEDO presents DARIO Panelized System; taking our customary construction practices into a quality-constrolled panelized construction process for the high-end residential market. Our panelized construction process allows us to build fully systems-integrated floor, wall and ceiling panels in-house with the same quality and precision with which we have always built onsite; now we simply build in a controlled atmosphere, with our own skilled craftsmen who ultimately erect the structures onsite– as well as provide high level artisan-quality fabrication of architectural elements of stone, steel and millwork. • We build high-end custom residences, complete with custom architectural features that are one-of-a-kind designs in steel, stone and millwork. • Clients we serve recognize and expect the value of premium quality, as do the architects with whom we work. • Our process allows architects to do what they love– design, and allows us to take that design and create construction and shop drawings that result in a more quality build. • Our process mitigates the constraints of weather and scarce labor forces since we fabricate the entire structure within our own facility. 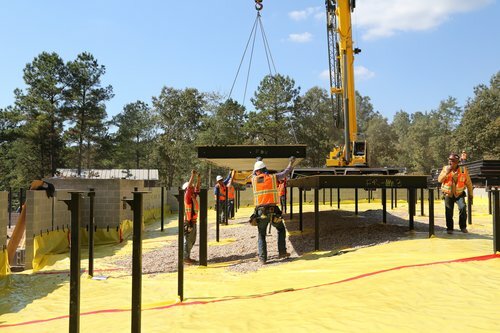 • Our process allows us to construct in rural areas, as well as tight and challenging urban infill sites because most of the construction process happens under our own roof. • Our process ensures a better building envelope since we integrate structural steel, light gauge framing and quality materials. • Our process cuts builds times by up to half that of conventional construction. 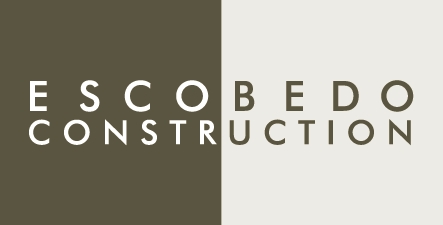 • Our process offers clients significant savings on fixed costs due to expedited construction timelines.